IKEA is expanding its footprint in the metro Atlanta area, with plans for a new store in Marietta. 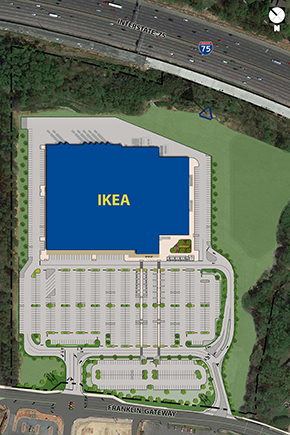 The Swedish home furnishings company founded in 1943 has identified 34 acres of land near the western side of Interstate 75, between the Marietta Parkway and Delk Road exits, as the site of their new location. IKEA has not set a timeframe for construction to start or for the opening of the store. However, the company says they will begin filing plans for the new store with Marietta city officials in the future.